The SEO industry was valued at more than USD $16 billion in 2010. That's not surprising, as more and more online businesses realize the huge impact SEO has on sales. There are information keywords that have low competition, like "how to do search engine optimization," "about search engine optimization," and so on. They have monthly search values of about 1,000. That's not as high as the other search values in this niche, but you can add these keywords to your list as a start. You'll have to be very creative in your niche and keyword research to get some really good keywords in. You can post articles about the newest trends and methods in the world of SEO and target those topics as keywords. There's always Ubersuggest.org to give you variations. This won't really be a problem if your site isn't on the SEO niche. But these keywords are still worth taking note of if you'll promote one or two SEO products on your site as a supplement to something else. There are plenty of SEO affiliate programs in the ClickBank Marketplace under the e-Business and e-Marketing category. You'll find about 7 pages worth of SEO and SEO-related products to promote, with most of the commissions at 50 percent per sale. You could earn anything from $18 per sale up to $800. There are even more options available when you go online, but the commissions are mid-range with various commission structures. There's also different kinds of programs: SEO plugins for CMS platforms like WordPress, link-building services, submission services, etc. Below are some SEO affiliate programs I picked from online and ClickBank. These are not necessarily the best programs to promote, but they are representative of the varied options you will see in this niche. SEOPressor is a popular Wordpress SEO plugin. Some of its functions include rich snippets, image optimization and automated linking. Backlink Beast is SEO software that builds backlinks for you using tiered link building. It automates link building by establishing links from different sources, including social networks, Web 2.0 sites and press releases. 180Fusion is a U.S.-based SEO firm that offers various SEO and marketing services, such as national and local SEO optimization, social media management, and mobile advertising. The company offers a one-time 25 percent commission or a recurring 5-10 percent commission depending on the lead volume and quality. It does not sound like much, but it can turn out to be a hefty amount as an average order for services is around $1,800. SEMRush is a popular SEO application that helps with keyword research, site analysis and position tracking. The service is subscription-based, so you will earn over the duration of a referred user's subscription. Each monthly payment gives you 40 percent in commission for each referred subscriber. SEOBook offers users online SEO training. For a monthly subscription of $300, users will have access to training modules, premium tools and access to a private SEO forum. Affiliates get a sign up bonus of $20. The site offers a tiered commission structure starting from 20 percent. This goes up every 5 sales until it reaches the highest rate: 50 percent payout on all products. Not including those found in ClickBank, the SEO affiliate programs discussed here are managed by their respective vendors and founders. Now that you've got the SEO products to promote, you can go ahead and build the site. But before you do, look at various link-building and inbound marketing methods you can use to drive traffic to your site. 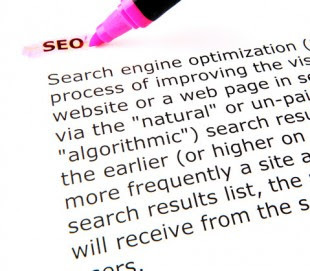 The SEO niche is a highly competitive niche. Having your own marketing strategy early on will help you transition easily from site-building to link-building. There are plenty of SEO forums that you can participate in to promote your site and any program you recommend. Forums in other niches also touch on SEO even though their niche isn't tech-based at all (think muscle building or self-help). This is because there are people who want to put up their own sites in these niches and they would like to know how to go about doing it, which products to go with and all that. This is a good inbound marketing method if you're into the SEO niche. You can create a small e-book on SEO, like a primer for beginners, then refer them to a page on your site that promotes an SEO affiliate program. The best thing here is you can make the e-book free, or charge a small fee (think $0.99) for every download on Amazon. I would rather make it free (because we all love freebies), but if your content is really good, then charge each download. That's another source of income for you. You can still do this method even if your site is based on a different niche. If you are in the weight loss niche, you can create a small e-book on exercises and diet plans for a slimmer tummy. Then refer them back to your site for more information. You won't be able to promote SEO products here, unless your e-book is about how the various ways to promote your weight loss site (which isn't a bad idea at all once your site has moved further along). This method is one worth trying out especially in a competitive niche. It can be difficult to look for websites where you can build your links. With reverse engineering, you look at your competitor site's backlinks, and build links on the same sites. The links from these sites, coupled with backlinks you've built on other sites, will give your site a helpful boost over your competition. I wasn't kidding when I said that you can monetize any blog with these SEO affiliate programs and others. If you have a blog, then you can pick from any of the above and recommend it on your site as your SEO service of choice. If you have a website on weight loss, fashion, wellness... you name it, you can monetize it with one or two SEO affiliate programs. This might seem to completely throw out the rule book, since you're only supposed to recommend products within and related to your site's niche. But once you have your site up and running, there will be people who will be interested in how you got the site built and what you're using to get ahead of the competition. Why not recommend a course or a product and earn a bit on the side? Keep in mind that you will not be actively promoting any of these products, unless of course, your site is all about SEO. Then you will have to make a real effort to rise above the challenges this niche brings — namely, tough competition. One of the reasons SEO companies are willing to pay affiliates top commission is because of the stiff competition. You need a solid marketing and link building strategy in order to make it in this niche. You're going to have your work cut out for you, but in the end, it will be all worth the trouble. I hope you enjoyed this week's niche! Don't forget to hit the Share button below. I would love to hear your thoughts on this week's niche, or any suggestions you may have on a niche, so be sure to leave a comment too!